Waterford’s Carrick United were deserving and convincing winners as they advanced into the last eight of the FAI Junior Cup beating Kinsale 2-0 last Sunday at Fort Hill. 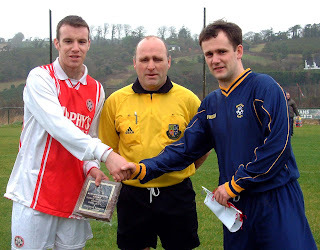 They were well organised and strong in all departments and were very dangerous on the break where players like Anthony Power, Thomas Fitzgerald and Daryl Cavanagh showed tremendous skill and guile when in possession going forward. Kinsale failed to get out of the blocks and apart from twenty minutes or so in the first half, it was the visitors that ruled the roost. Kinsale were finding it very difficult get into the game but Jeremy O’Donovan drove a good effort from 35 yards out narrowly beyond the upright and then player manager Peter Jones saw a good effort flash over the bar. Jones also went close with a free kick and Kinsale’s Steve O’Donovan headed narrowly wide after Brian Barry sliced a clearance. 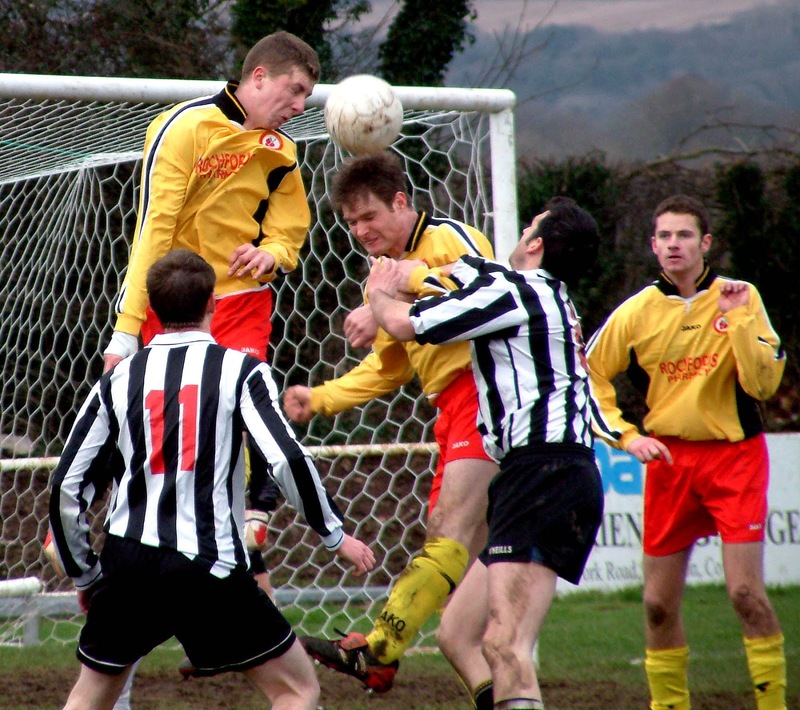 Kinsale’s good spell ended in the 37th minute. 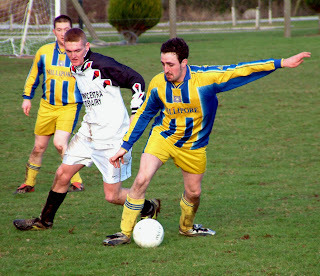 Then Carrick winger Power crossed low and Tony Reid’s 18 yarder beat home keeper Dave O'Callaghan. The keeper made a great 41st minute save to keep out a Keith Walsh drive. O'Callaghan would be busy in the second half, starting early with a full stretch tip over to an Alan Ryan free kick from the right and then lucky that a Fitzgerald rocket shaved the outside of his post. Later his defence came to the rescue when Cavanagh beat the keeper to a long ball and lobbed it past him. But there was nothing he could do about Carrick’s second goal in the 76th minute. He did save Fitzgerald’s initial shot but Daryl Cavanagh pounced and made no mistake. 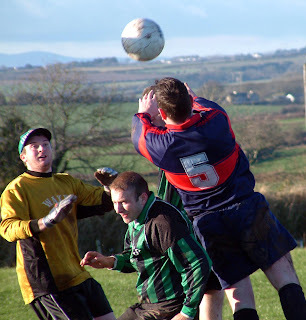 Dave O'Callaghan though was the man of the match and Carrick would have won more convincingly but for the brilliance of the Kinsale goalkeeper. 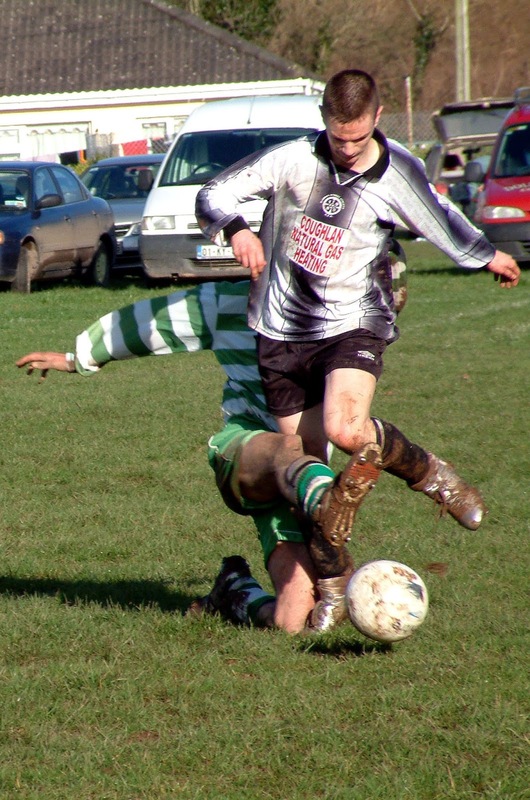 Bohemians striker John Cronin was the derby day hero as he scored a hat-trick to help his side gain all three points at Kilmore Road in a closely contested AUL 2B game against Knocknaheeny Celtic at Kilmore Road last Saturday. Bohs led 1-0 at half time but Knocknaheeny came back in the second half and, after 72 minutes, it was 2-2. Bohemians were awarded a penalty in the 82nd minute and went ahead after Cronin scored from the spot. They were to put the finishing touches to their victory when Cronin struck again in the 90th minute by heading home from a well-delivered corner by Trevor Hallissey to put the result beyond doubt. 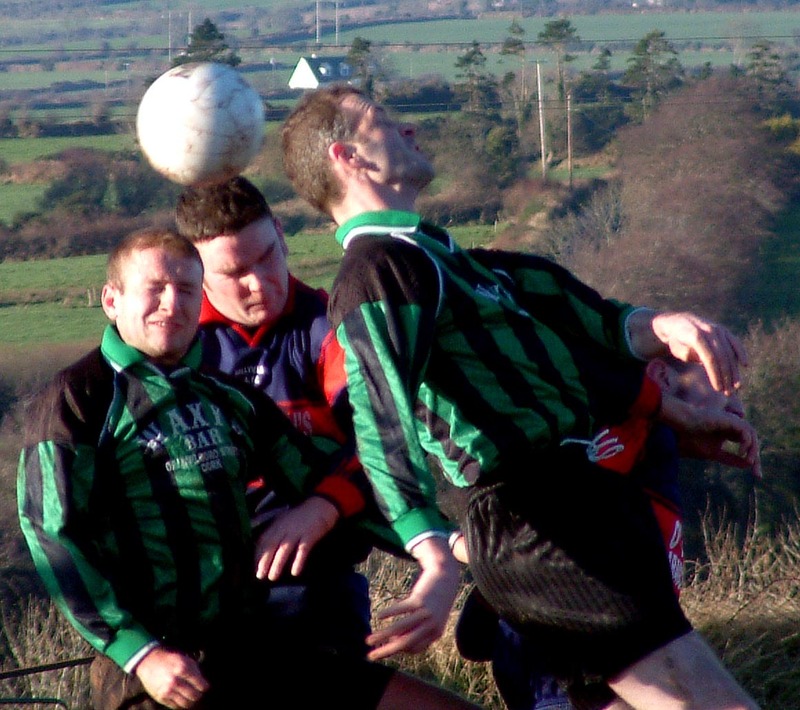 In the 10th minute, Hallissey floated a dangerous ball from the left and John Cronin rose highest to direct a marvellous header into the top left hand corner of the Knocknaheeny net. Bohemians survived a lot of pressure before going further ahead in the 63rd minute. Then Robert Walsh delivered a perfect cross from a throw ball and Trevor Hallissey crashed in an unstoppable shot from 15 yards that gave the Knocknaheeny goalkeeper no chance whatsoever. Both David and John Cronin had chances to extend the Bohs lead but each shot just over. 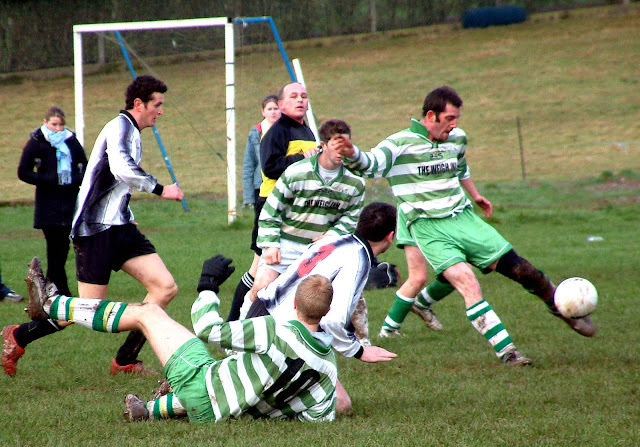 Knocknaheeny kept battling though and reduced the gap in the 69th minute. Then, an indirect free kick fell for Twomey and he managed to touch the ball over the line to bring his side right back into the game. 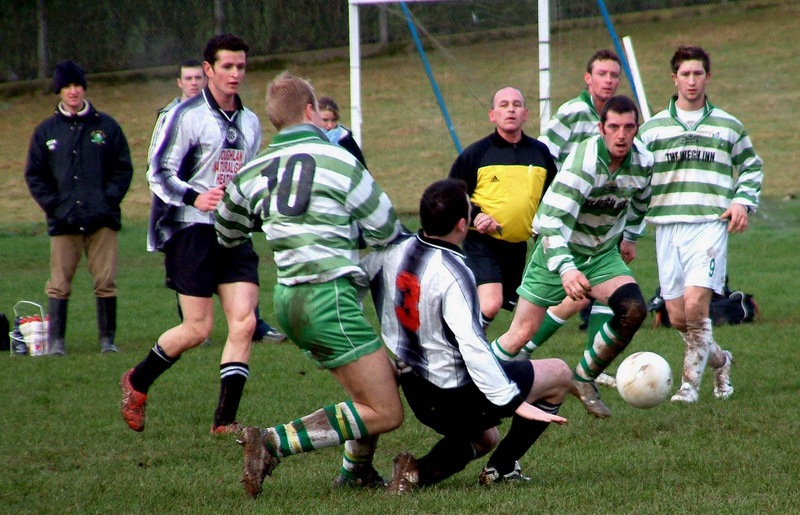 Knocknaheeny kept up the pressure and in the 73rd minute, they got their equaliser. Pat Sheehan floated the ball into the box from the left and it reached Twomey who duly obliged by directing it beyond the reach of O'Callaghan. Knocknaheeny were dealt a big blow in the 82nd minute when Bohemians were awarded a penalty. John Cronin stepped up and struck his shot low and hard to the right of the Knocknaheeny goalkeeper to put his side ahead again. And John put the icing on the Bohs cake in the dying seconds when he got on the end of a corner kick from the right to glance a neat header into the back of the Knocknaheeny net to put the result beyond doubt. 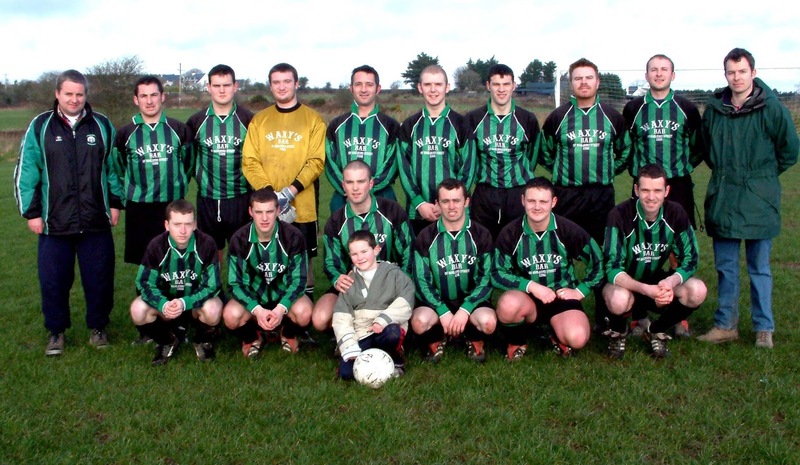 Knocknaheeny Celtic: Glen Driscoll, Owen Cremin, Ger Crowley, Garry Peglar, Richie Clarke, Anthony McNamara, Ger Cronin, Roy Kenny, Pat Sheehan, Neil Twomey and Steven Lynch. Subs used: Mark Daly for Ger Cronin (at half-time), Ken Murphy for Owen Cronin (55th minute) and Trevor O'Callaghan for Steven Lynch (69th). Bohemians: Eric O'Callaghan, Robert Walsh, Alan Daniels, David Lynch, Damien Rea, David O'Sullivan, Garry O'Mahony, Trevor Hallissey, Derek Daniels, John Cronin and David Cronin. Sub used: Alan Joy for Derek Daniels (78th minute). A well organised and skilful Cork side scored a well deserved 3-1 Oscar Traynor Cup win over visitors Wexford at Casement Park on Sunday. Wexford had come with a big reputation but, apart from the last 15 minutes or so, never looked like penetrating a resilient Cork defence. Cork were to score their first goal in the 11th minute and this came when Damien O’Neill put in an excellent tackle on Thomas Mahon and sent Mick Forde away on the left. Forde got the ball into the box where it broke for the lurking Derek Delea and the Kinsale striker wasted no time in shooting low past Wexford goalkeeper Nicky Murphy. Damien O’Neill rose high to get in a header that came back off the post. The ball broke for Keith Shaw who coolly picked his spot and slotted it beyond the helpless Murphy. Any plans that Wexford had for the second half were dealt a severe blow when Cork scored again in the 48th minute. A magnificent pass by Delea fell into the path of Shaw who, coolness personified, looked up, picked his spot and slammed the ball to the right of Nicky Murphy into the back of the net. Cork started to take their foot off the gas and paid the price for defending too deeply when Wexford opened their account in the 75th minute. 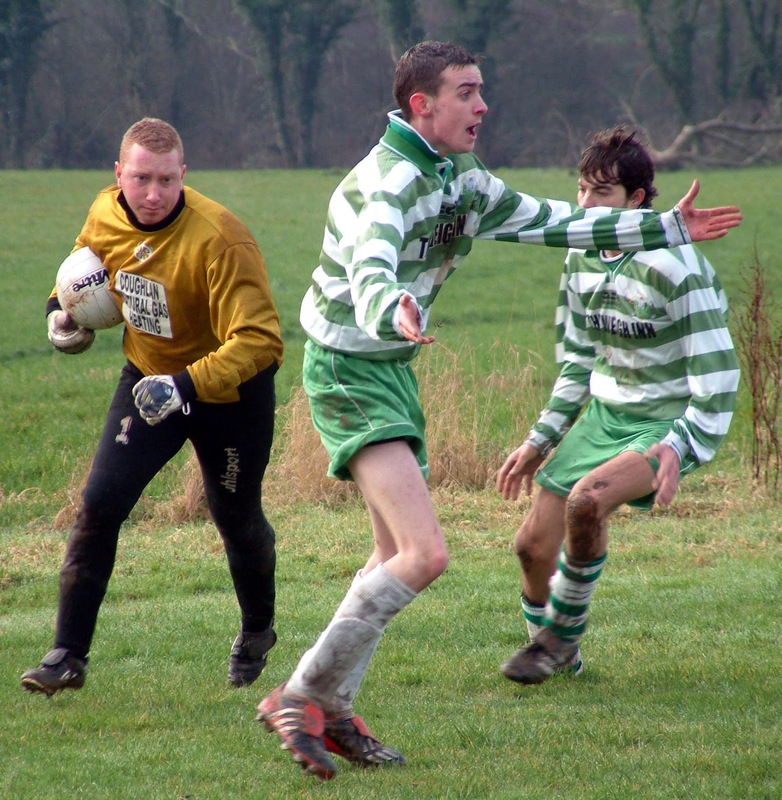 Sean Purcell’s powerful 25 yard shot was parried by keeper Eric Cahalane and Gareth Larkin tapped in the rebound. 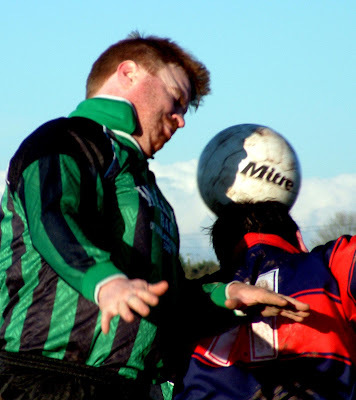 Cork’s Derek Delea, so comfortable in the ball, was the man of the match. 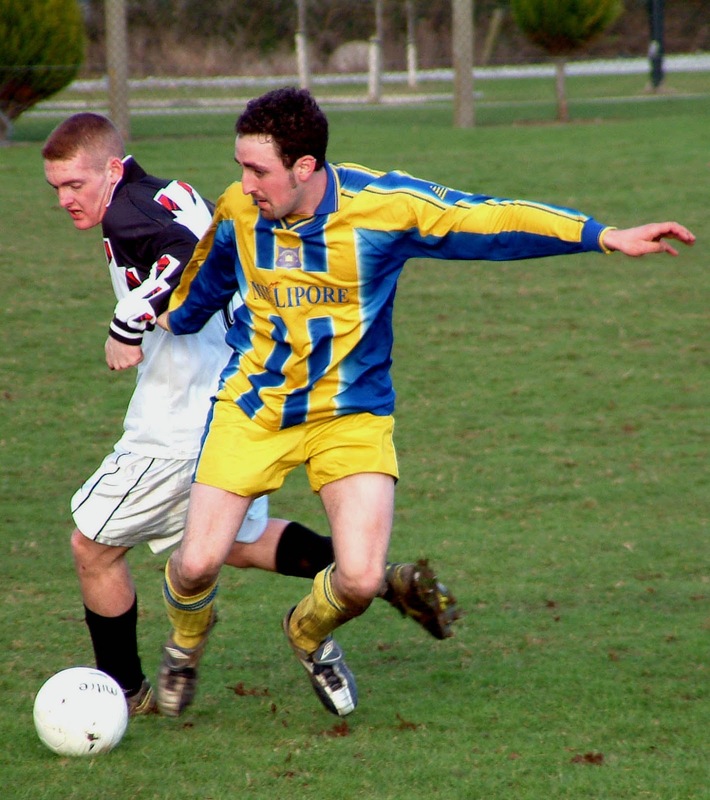 He was a handful for Wexford and regularly linked well with Shaw. His distribution was excellent, well illustrated with that marvellous cross-field pass that picked out Keith Shaw for Cork’s third goal. 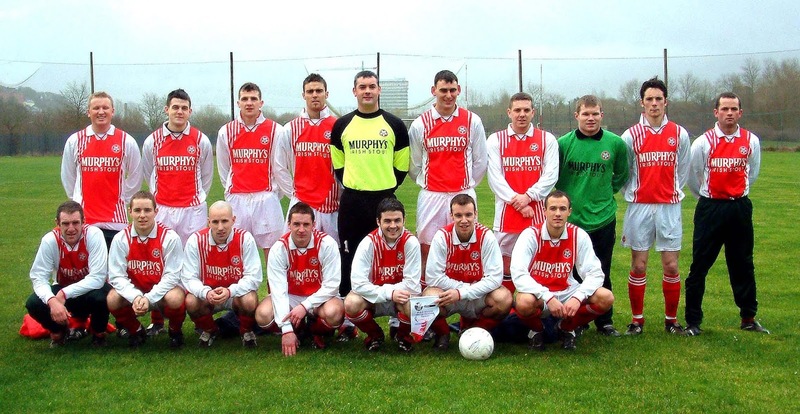 Cork AUL: Paul Collins, John Gaffney, Gearoid O’Leary, Damien O’Neill, John Hogan, Ray O’Leary, James O’Leary, Keith Shaw, Derek McCarthy, Derek Delea and Mick Forde. Subs used: Eric Cahalane for Paul Collins (at half time), Jason McGillacuddy for Derek McCarthy (65th minute), Gordon Ryan for John Hogan (75th), John Betts for James O’Leary (78th) and Conor O’Leary for Mick Forde (80th). Wexford: Micky Murphy, Colm Bent, Ciaran Kelly, John Foley, Anthony Russell, Gareth Larkin, Anthony Roster, Thomas Mahon, Thomas Hawkins, Anthony O'Connor and Mark Lee. Subs used: Michael Grangell for Colm Bent (43rd minute), Sean Purcel for Thomas Mahon (62nd), James Carthy for Anthony O’Connor (70th) and Alan Doyle for Ciaran Kelly (79th). The gale force wind could have been the dominant factor at O'Neill Park where Grattan United and visitors Village lined up for their 4th round replay in the Lucozade Munster Junior Cup. But it made little difference to Village. 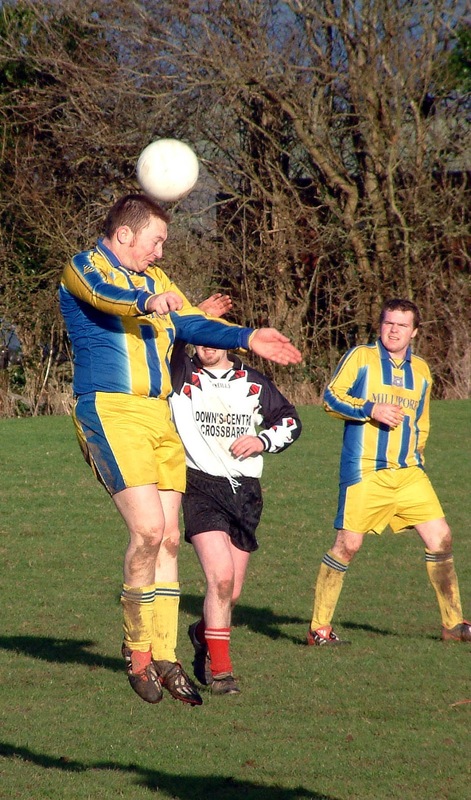 They scored two goals with it and four against to run out convincing winners. 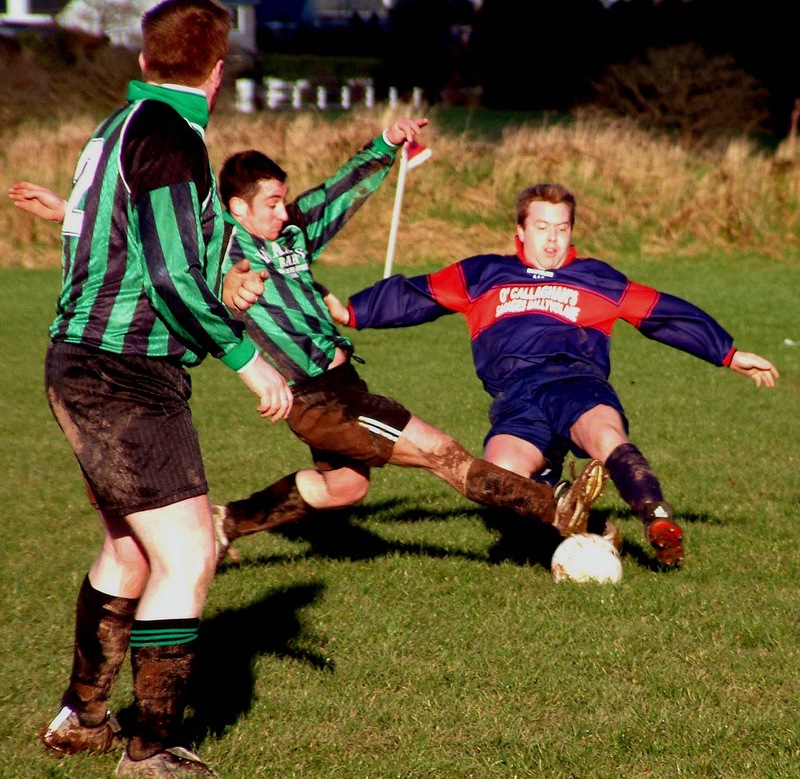 A Grattan comeback looked on the cards when they pulled one back early in the second half but a later sending off handicapped them and Village took full advantage to record a comprehensive win. Village piled on the pressure from the start and went ahead in the 11th minute when Conan Burns shot under Grattan’s goalkeeper Adam Lynch. The Grattan defence was poor as a flag kick came in and Village midfielder Alan O’Brien headed in their second without undue difficulty. Grattan got the goal they wanted just two minutes into the second half. 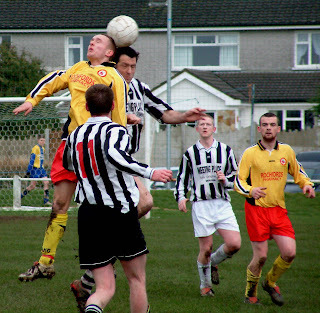 Village failed to clear their lines and John O’Riordan directed the ball into the net. 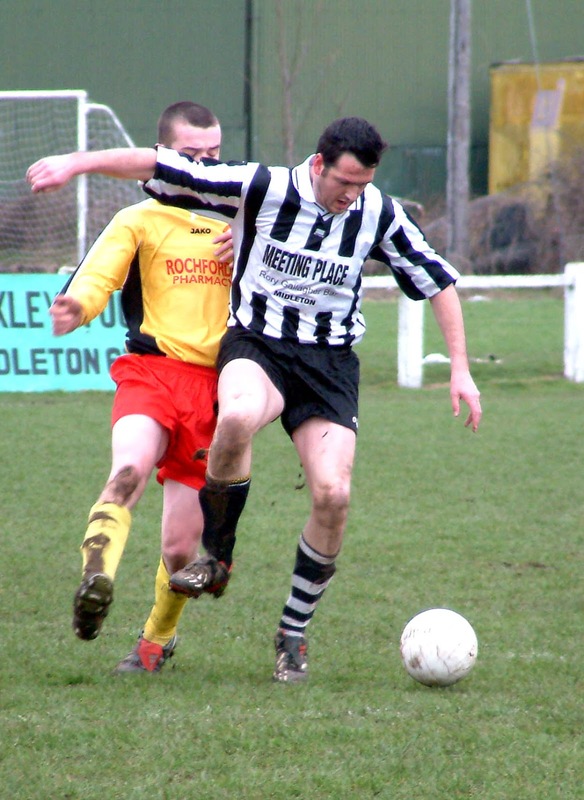 Grattan, for a short spell, put the pressure on but were met by an excellent defence, where both Conor Jones and Terry Lotty were outstanding. The Grattan comeback was dealt a blow in the 59th minute when they had man pick up his second yellow after upending Conan Burns in the box. Kevin Dunne struck his penalty to the left of Lynch to put his side 3-1 up. Grattan tried their best to get back into it but conceded another goal in the 80th minute. 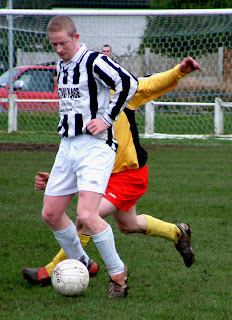 Village defender Conor Jones started the move and found Lotty with a perfect ball. Lotty raced away and cracked a tremendous 25-yard shot past Lynch. 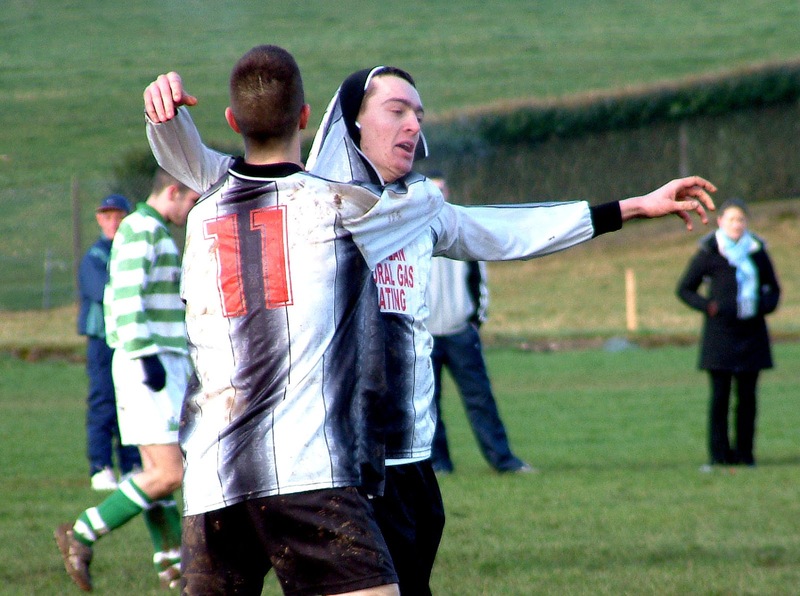 Village were now on song and scored their fifth in the 86th minute. Eric Burns sent Brian Sheehan away on the left and he picked out the inrushing Conan Burns whose well placed penalty box shot found the net. Rampant Village turned the screw just before the final whistle. 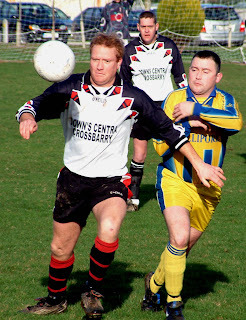 Richard Burns split the home defence and Brian Sheehan coolly placed the ball to the left of keeper Lynch. Grattan United: Adam Lynch, Denis Cremin, Derek O’Driscoll, Paul Lynch, Harry Goulding, Barry O’Rourke, Damien Peelo, Darren Geaney, John O’Riordan, John Kelleher and Graham Forde. Subs used: Erick Shinkwin and Anthony Peelo for Derek O’Driscoll and Graham Forde (both 62nd minute) and Eddie O’Riordan for John O’Riordan (69th). 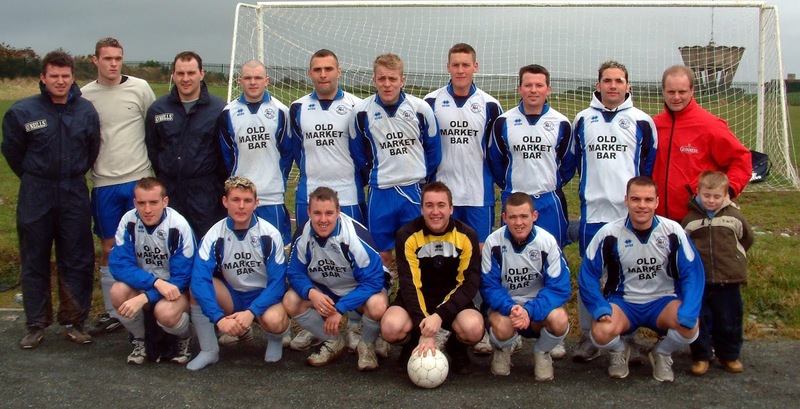 Village United: Jamie O’Donovan, Clive Hurley, Kevin Dunne, Terry Lotty, Conor Jones, Conan Burns, Eric Burns, Alan O’Brien, Richard Burns, Will O'Callaghan and Jinty O’Sullivan. Subs used: Brian Sheehan for Will O’Callaghan (at half-time), Leslie Kepple for Jinty O’Sullivan (72nd minute) and Denis Long Kevin Dunne (77th). INNISHVILLA FC are looking for a friendly this coming Saturday at 2pm. It will be against a mixture of A and B players. GRATTAN B LOOKING FOR A FRIENDLY. Grattan B are looking for a friendly next Sunday 30/12/18. Do you want to be in the running for the Murphy’s Irish Stout Team of the Month for December? Get your entries in to Henry Healy, 19 Inniscarra Road, Fairhill, before Friday, January 4th . Note: Please include all results from the 1st to the 16th December. Closing date will be the 4th January. Barry Nugent floated in the extra time winner as Avenue United advanced in the Lucozade Sport Munster Junior Cup with a hard earned 1-0 win over St John Bosco's at Knockgriffin on Sunday afternoon. 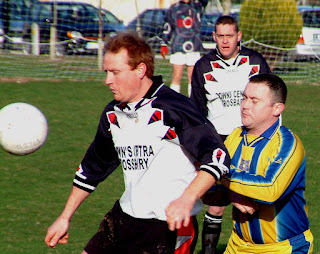 Nugent’s effort from the attacking right sailed over keeper Glen Mackessy, stranded by his near post, and found the top corner by the far stick. Throughout the second half, Bosco's won free after free in midfield and should have scored from the first of them, in the 52nd minute. Forde dropped it into the box where it broke to Mark Duggan; the former Golden Boot winner let fly but the visiting keeper made a fantastic save. Generally the long range frees weren’t troubling the Clare defence, though there was an exception in the 73rd minute. The ball broke on the left to Paul Cashman and the Avenue keeper made a very brave save at the feet of the Midleton man. In the closing stages, Avenue had more of the chances and, with four minutes to go, a rocket from the right hand side of the box by sub Neil McCarthy whizzed just wide of Mackessey's far post.Then the Ennis keeper made a super save from Duggan. Avenue had the better of the first period of extra time and came close to scoring in the 9th minute. Gary Walsh did well and pulled the ball back to Nugent but his close range flick was well saved by Mackessy. Nugent though would have his goal, in the 4th minute of the second period, and his soaring shot from the wing had keeper Mackessy stranded by his near post, unable to prevent the ball flying past into the top corner. 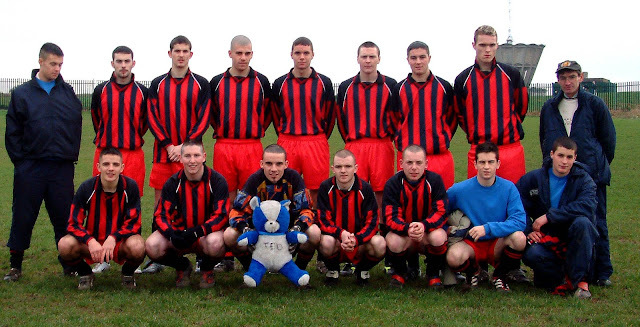 St John Bosco’s: Glen Mackessy, Ivan O'Riordan, Steve Cahill, Brendan Foley, Fergus Grourke, Sean Corcoran, John Cody, Paul Cashman, Mark Duggan, Shane McSweeney and Ken Kelleher. Subs used: John Boylan for O'Riordan (66th minute), Eric Costigan for McSweeney (75th) and Paul McCarthy for Cody (85th). Avenue United: Radu Sulc, Eamonn O’Reilly Gary Walsh, Paul Crowley, Brendan Rochford, Darryl Eade, Marino Alonso, Brian Honan, Barry Nugent, David Monahan and Mike O’Mahony. Subs used: Neil McCarthy for Monahan (70th minute), Edin Glynn for Alonso (71st) and Niall McNevin for O’Reilly (112th minute). 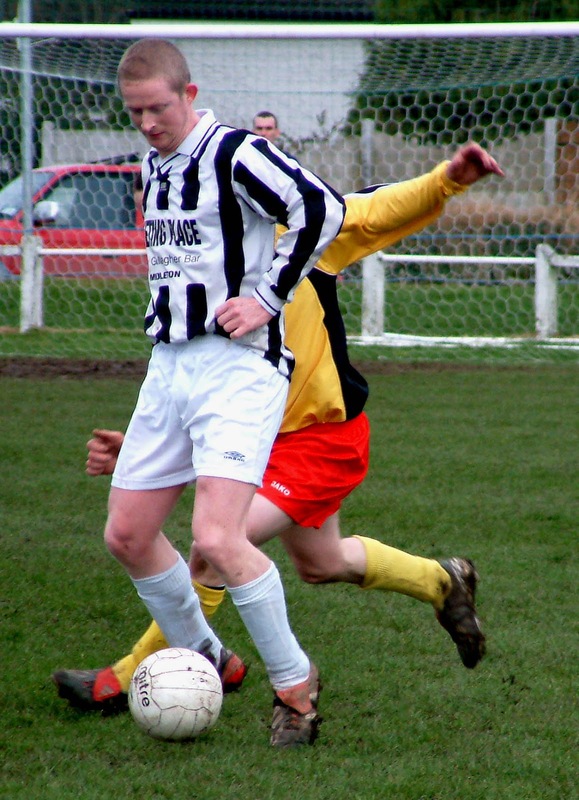 Grattan United, deprived of the services of ace midfielder John Kearney on the eve of the game, bowed out of the Snickers FAI Youth Cup at O'Neill Park on Sunday, going down 2-0 to a craftier WFTA outfit. WFTA (short for West Finglas Tenants Association) were strong in all positions and, in the absence of inter-league ace Kearney (who injured a finger at work on Saturday), Grattan were forced to play second fiddle in midfield. WFTA had most of the first half chances and came close to opening their account in the 35th minute. Then Mark Murphy latched on to a ball over the top and his well struck effort was making its way into the net with keeper Niall Collins beaten and it took a last minute intervention by Grattan’s outstanding defender Brian O’Sullivan who headed the ball out for a corner. 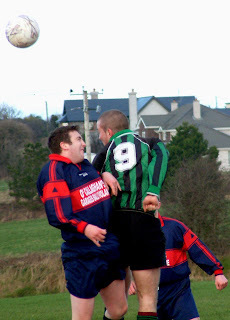 Grattan were under siege and keeper Collins made a brilliant save from Gavin Quinn. 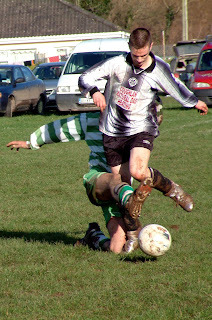 Then, shortly before the break, Brian O’Sullivan came to his side’s rescue again when he put in an excellent tackle on Peter Waters. 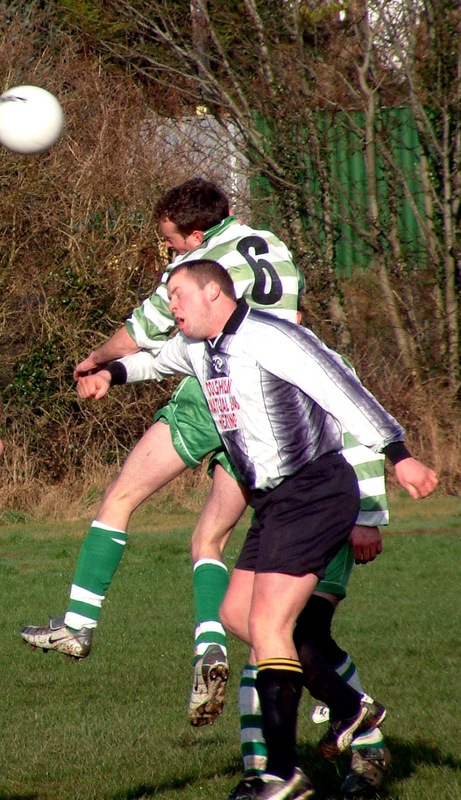 Grattan came out in the second half with all guns blazing but WFTA stood firm, though the Dubliners were lucky when Tim O'Mahony mis-kicked in front of goal in the 54th minute. WFTA were actually awarded four corners in succession before they got their first goal on the hour. The final flag kick fell to Peter Waters who blasted the ball into the back of the net from close range. Grattan did their best to try and get one back but were caught in the dying seconds when WFTA’s Gavin Quinn got away down the middle. 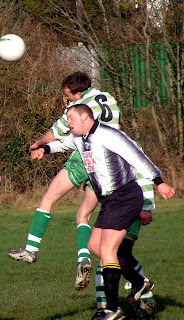 He won the head to head with keeper Collins and calmly scored to end the hopes of the home team. 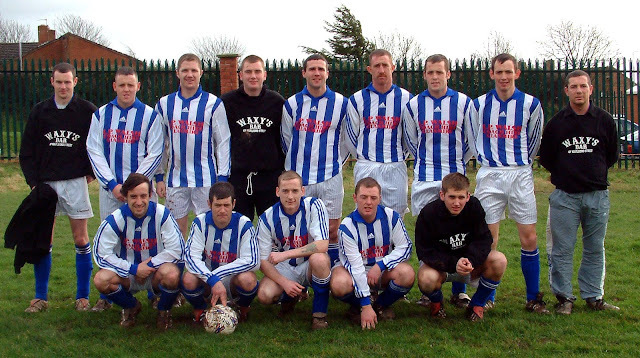 Grattan United: Niall Collins, Colin Sullivan, Darren Galvin, Brian O’Sullivan, Anthony Peelo, Tim O'Mahony, Eric Fleming, John Paul Ricken, Stephen Walsh, Jonathon Walsh and Anthony McGee. Sub used: Padraig Crowley for O'Mahony (67th minute). WFTA: John Brown, Mark Evans, Aaron McEness, Stephen Connolly, Liam Tiernan, Darren O’Brien, David Sommers, Christopher Barger, Mark Murphy, Gavin Quinn and Peter Waters. Sub used: Anthony Geraghty for Mark Murphy (70th minute). 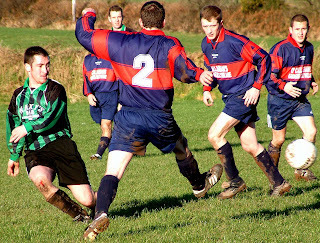 Third division high fliers Knockavilla Celtic came a cropper at Slatty Park on Saturday when they lost 4-0 in the Murphy’s Stout County Cup to first division hosts Carrigtwohill United whose first and last goals came from terrific crosses by left back Niall Kidney. Celtic were under siege for most of the first half but it was just one nil at the break and the visitors were in with a chance. But they pressed the self-destruct button soon after the interval and the concession of two soft goals meant they were out of it long before sub Carl Sylvester stretched to make it 4-0 in the second last minute. 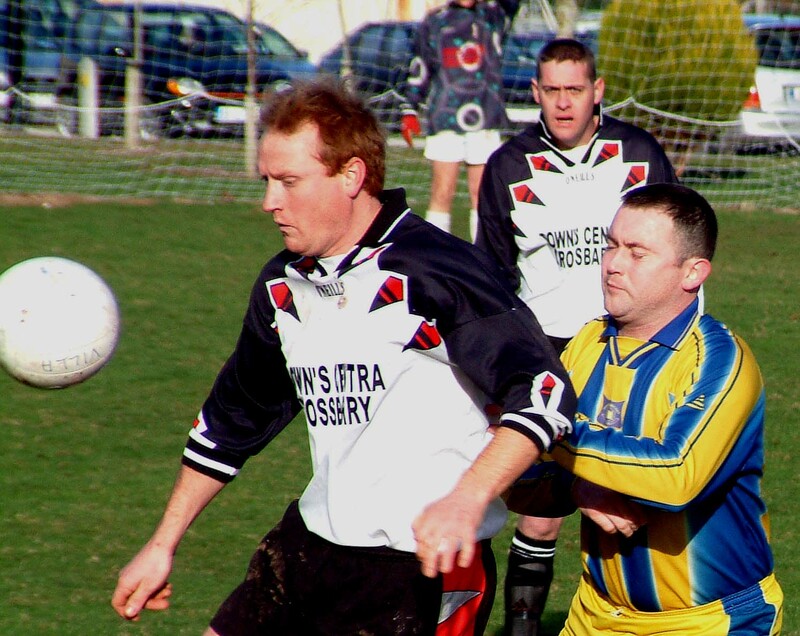 The visitors were split wide open in the 20th minute when Kidney fired in a smashing cross from deep. Derek “Nozzle” Healy seemed to lull his marker into a false sense of security before jumping late to direct a looping header over a frantically back-pedalling keeper. And Carrig came ever so close to a spectacular second in the 32nd minute. Then a Mick Fitzgerald free was half cleared to Leonard Healy and his fantastic 20 yard volley flew like a rocket but crashed off the inside of the far post before bouncing across the goal to safety. Carrig were now so much on top and so comfortable that their defence began to get a bit complacent. 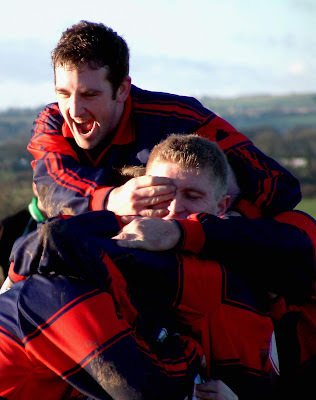 But the winners stretched their lead n the 53rd minute; Adrian Hodnett was left totally unmarked a few yards from goal to finish off good work by Leonard Healy and Brian Barry. It got even worse five minutes later. Then the back-line and keeper all converged on a long ball. Derek Healy saw his chance and got in among them to turn the ball into the empty net to make it 3-0. There would be no consolation goal for the visitors though they did come close in the 81st minute. Then Burke, who had faded after a bright opening, got in behind the defence. 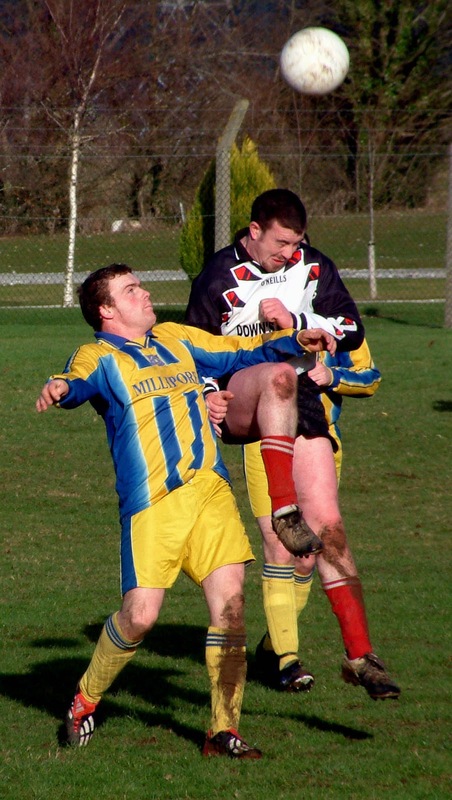 His effort though was well saved by keeper Kidney and his second was turned behind for a corner by Brian Nolan. 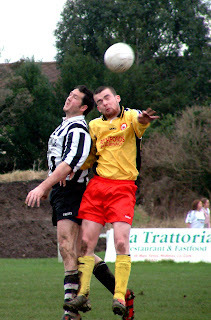 Rob Walsh got his head to the corner ball but saw his effort go well over. That final goal was left to sub Sylvester. Again the chance came from a quality cross from the left by Kidney and the sub went full stretch to turn it past keeper O’Brien from close in. O'Brien wasn't the only Knockavilla player relieved to hear the final whistle that was sounded soon afterwards by referee Larry Buckley. 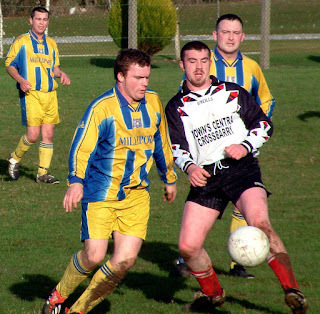 Carrigtwohill United: Adrian Kidney, Cormac Carroll, Noel Gubbins, Brian Nolan, Michael Fitzgerald, David Barry, Niall Kidney, Adrian Hodnett, Derek Healy, Brian Barry and Leonard Healy. Subs used: Steven Moore for Barry (62nd minute), Carl Sylvester and Colin O’Neill for Hodnett and Gubbins (both 77th). 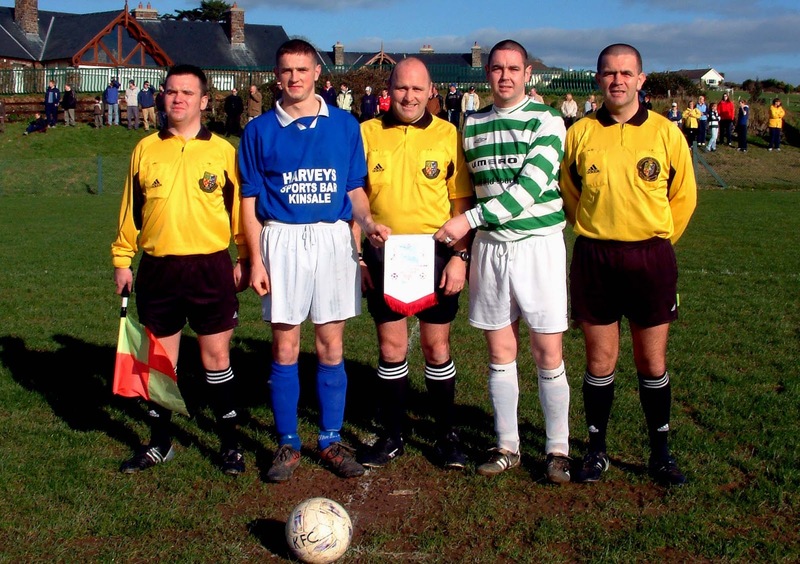 Knockavilla Celtic: Michael O’Brien, Brian Powell, John Canty, Barry Cullinane, Tony Shiels, John Burke, Damien O'Riordan, Rob Walsh, Garry O'Keeffe, David Murphy and Billy Powell. Subs used: Richie Butler for O’Keeffe (at half-time) and Jeremy Hurley for Brian Powell (61st minute). 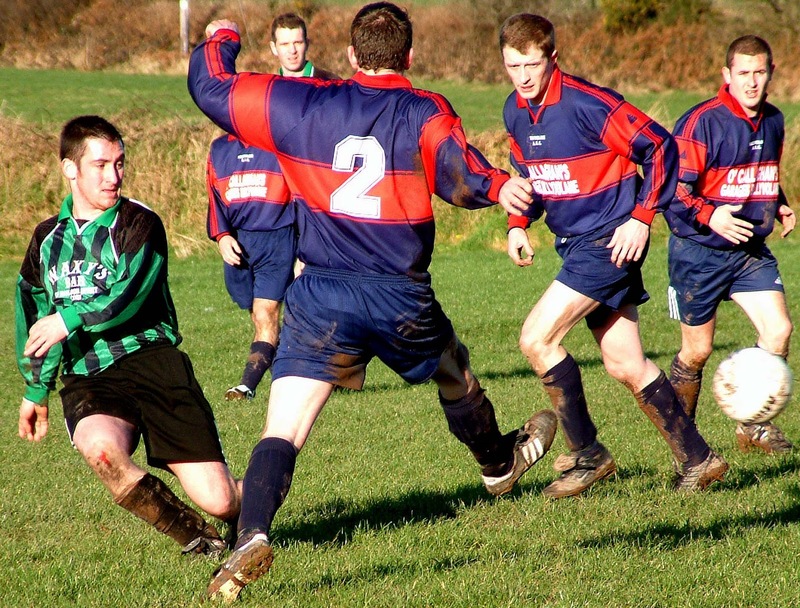 Blarney Street Athletic took their chances well as they advanced to the third round of the Murphy’s Stout Corinthians Cup with a deserved 3-1 win over first division visitors Dripsey Celtic at Monard. 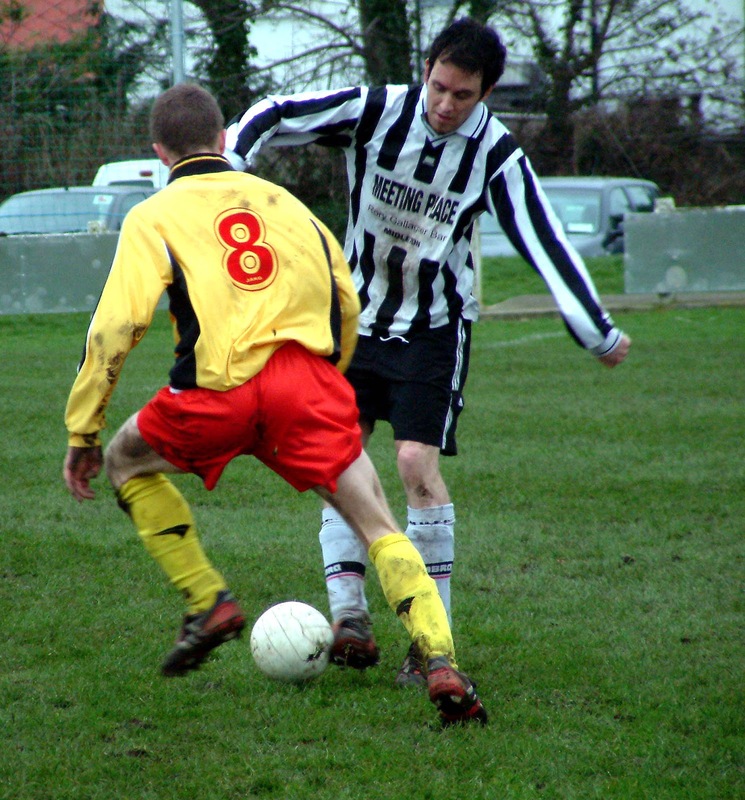 Dripsey, without a game for four weeks, looked ring rusty at times and gave the ball away regularly. 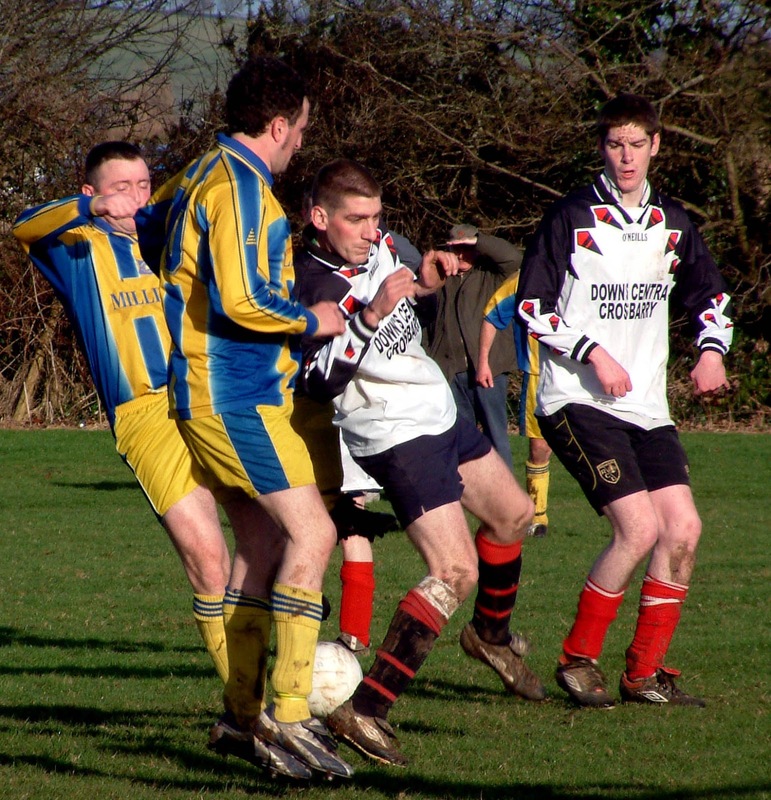 Their defence was slow in the third minute and were punished when John Paul Thompson's low cross was finished off from close in by Eric Dunlea. Blarney Street did double their advantage in the 28th minute. 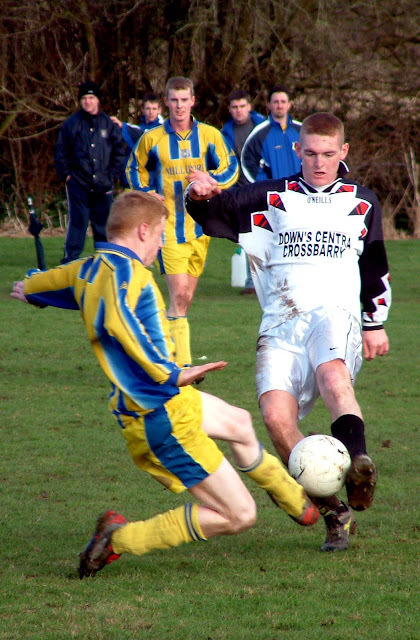 This time, Gary Coughlan’s cross broke out to Mark Bennett and his well placed low effort beat Moynihan's dive to his right. 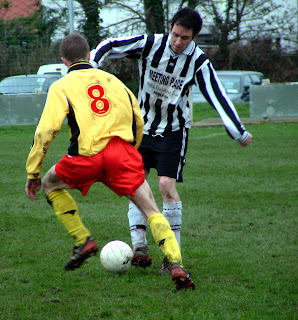 Dripsey did play somewhat better after the break and scored a smashing goal on the hour. Aidan Buckley had a terrific game on the right and his cross was headed to the net by Gary Murphy. But Dripsey’s joy was diluted in the very next minute when John Paul Thompson cut in and fired an unstoppable shot high onto Moynihan’s net to make it 3-1 to the city side. 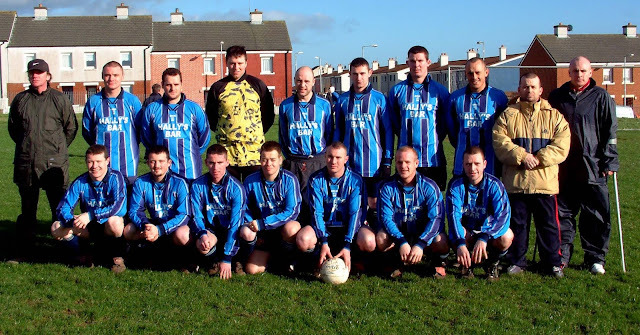 Blarney Street Athletic: Gearoid O’Brien, Denis O'Sullivan, Wayne O'Leary, Alan Conroy, Eoin St ledger, Gary Coughlan, Roy O’Halloran, Mark Bennett, Colin McKeown, John Paul Thompson and Eric Dunlea. Subs: Ger Cronin, Jason Murphy, Derek Power, Mark McCabe and Kenneth Landon. Dripsey Celtic: Ray Moynihan, Aidan Buckley, Noel O'Sullivan, Conor Twomey, Sean Madden, Davy Buckley, Finbarr O'Sullivan, Tom Doyle, Ray Murphy, John Hogan and Ross Underhill. Subs: Eamonn Morrish, Gavin Holland and Brian Linehan. 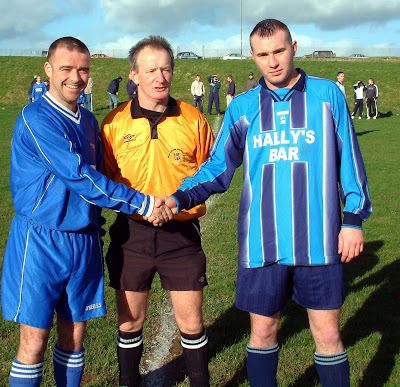 Kinsale, with skipper Davy Barry in tremendous form, advanced to the 7th round of the Statoil FAI Junior Cup with a deserved 4-1 success over Donegal champions Glenea United at Fort Hill on Sunday morning. It looked bad for the home side when they went a goal down in the 7th minute but that reverse just spurred them on to better things. Indeed, they never looked back, totally dominated the game and outplayed their opponents with some precise accurate football. 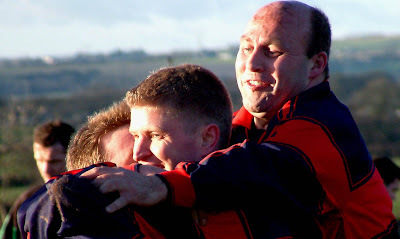 It was a great team show by Peter Jones’ men but Barry was the hero. His second half display was magnificent. 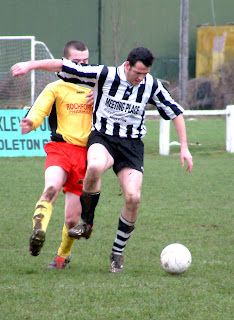 He showed a range of skills as he tormented marker Paul Duggan. Glenea’s opener came after a long ball over the top. Maurice Ferry latched onto it and his well placed effort gave advancing keeper Dave O’Callaghan no chance and put the visitors ahead. Kinsale’s persistence paid off on the half-hour. Player manager Jones hit a powerful 30 yard drive and the Glenea keeper did well to push it out for a corner. But the save just delayed the goal. When the flag kick came over, Pat Murphy rose highest to thunder his header into the back of the net. Barry was on fire for the second half and Kinsale used him at every opportunity. Surprising then that the visitors didn't detail a second man to curtail his contribution. Kinsale kept feeding Barry on the right and the tactic paid off in the 63rd minute. 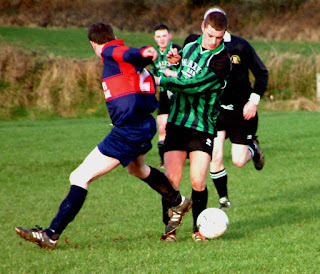 Barry skinned Duggan for the umpteenth time and his precise cross was headed powerfully into the net by Derek McCarthy. 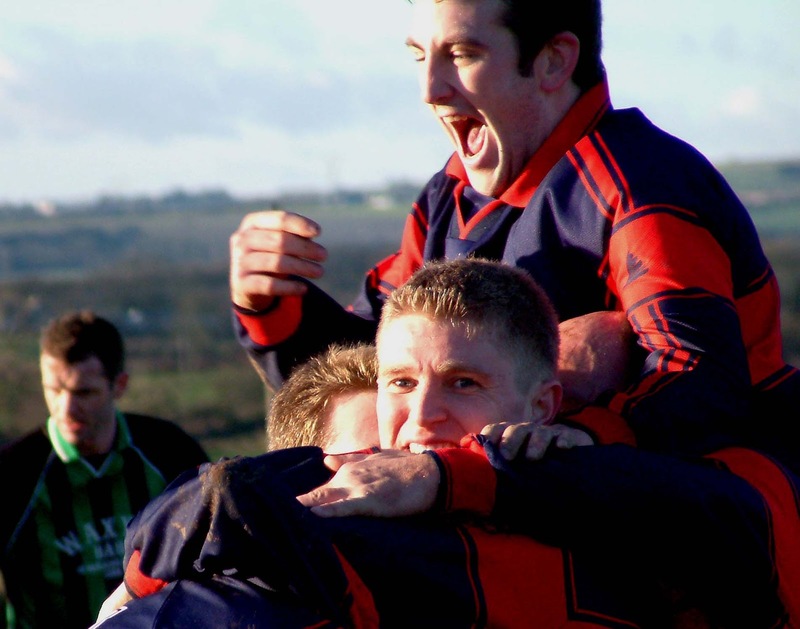 Kinsale took complete control as they produced wave after wave of attack many going though the skilful Barry and were rewarded with a third goal in the 80th minute when Barry’s accurate cross was headed in by Foran. There was no way back for the Donegal lads and Kinsale put the icing on the cake in the dying seconds. Jeremy O’Donovan made a great run and, from 30 yards out, let fly. Rodden could only push it away and Pat Murphy lay waiting to smash the ball home to make it 4-1. Kinsale: Dave O’Callaghan, Gearoid Cummins, Florence Lynch, Sean Foran, Peter Jones, Pat Murphy, Jeremy O’Donovan, Derek McCarthy, Sean Prior, Stephen O'Donovan and Dave Barry (captain). Sub used: Patrick O’Callaghan for Foran (83rd minute). Glenea: Joe Rodden, Terence Duggan, Anthony McCafferty, Ciaran McFadden, Sean McFadden, Sean McFadden, Patrick Dohan, Stephen Coyle, Maurice Ferry, Joseph Gallagher and Eamon Cannon. Sub used: Shane McFadden for Dohan (at half-time). 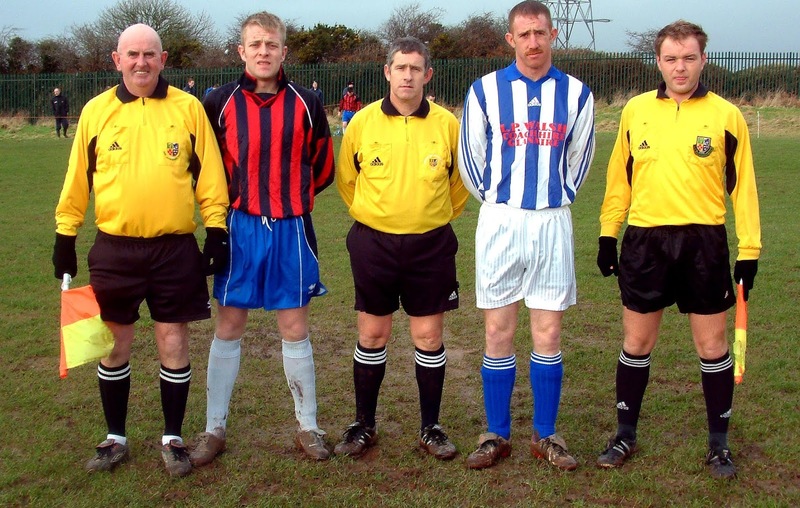 HAPPY CHRISTMAS: On behalf of all in the AUL, I would like to wish our sponsors, The Evening Echo Sports desk, clubs, players, referees and everyone else involved in the game – a very happy Christmas and merry New Year. 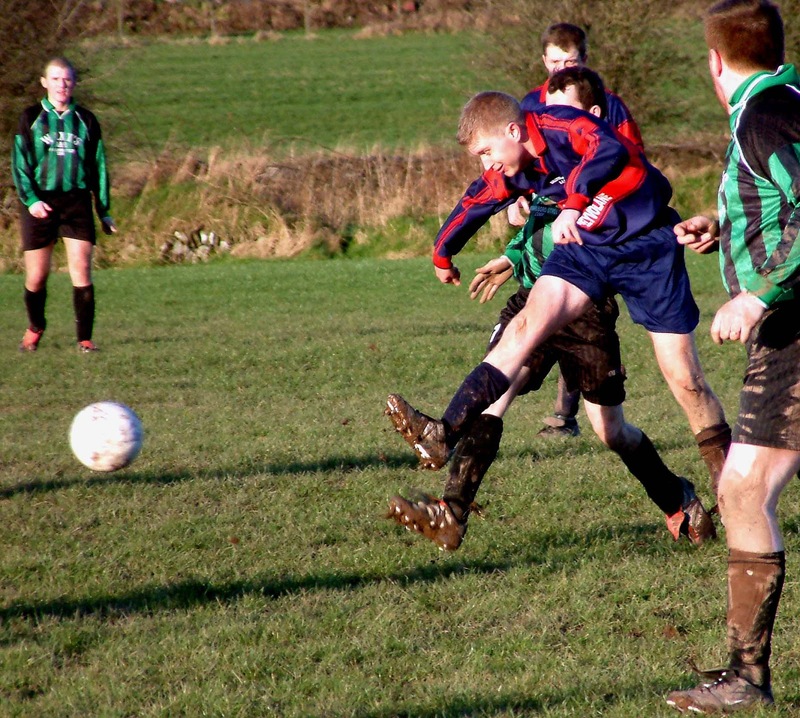 ALL AUL GAMES ARE OFF TOMORROW SUNDAY, 16TH DECEMBER. 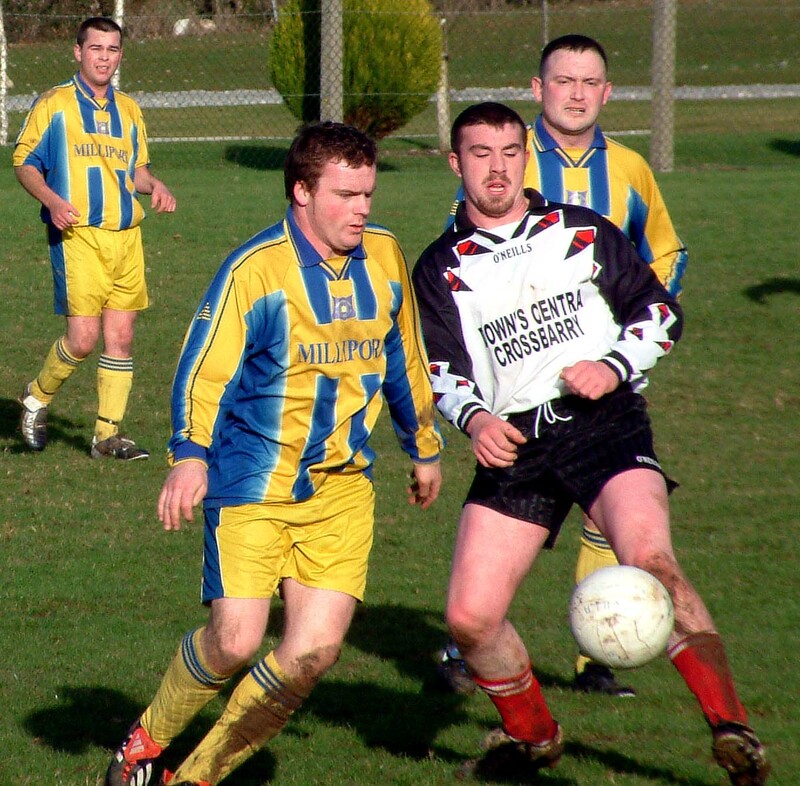 Goals in the 88th and 89th minutes gave second division Ballyvolane a dramatic 2-1 win over first division Mayfield United in Saturday’s entertaining Murphy’s Stout AOH Cup replay at Ballyvolane Park. 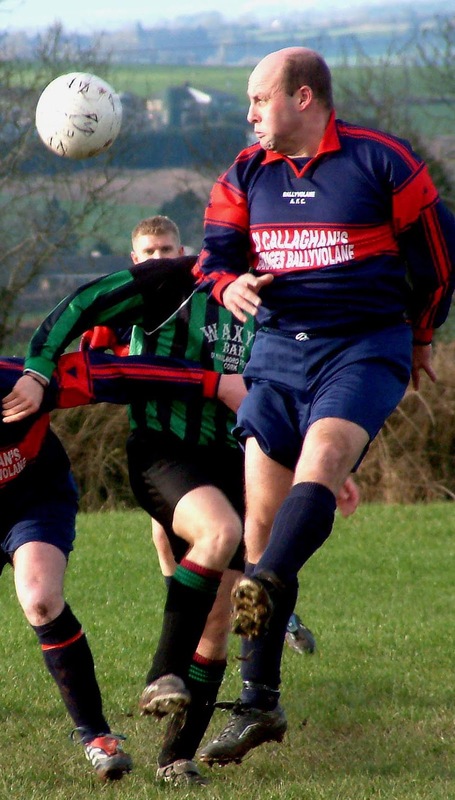 Mayfield had snatched a late equaliser in the drawn game and Ballyvolane player-manager Derek Mellerick described that as “a sickener”. Derek though enjoyed the cure on Saturday, particularly since it was he who administered the first dose of punishment to the visitors. Mayfield, who lost home advantage when the previous week’s replay was called off because of ground conditions, led since the 21st minute. 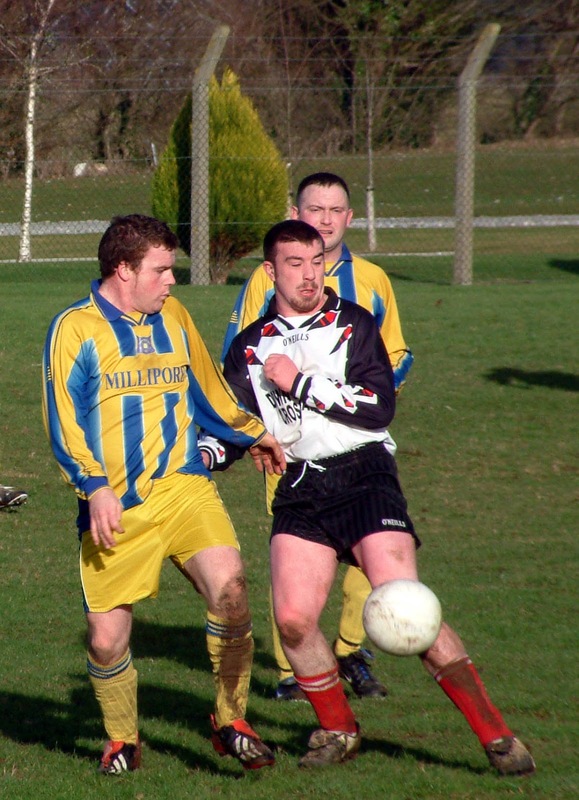 But Mellerick stretched out a foot to volley in the equaliser and then Steve O'Keeffe came up with the winner. 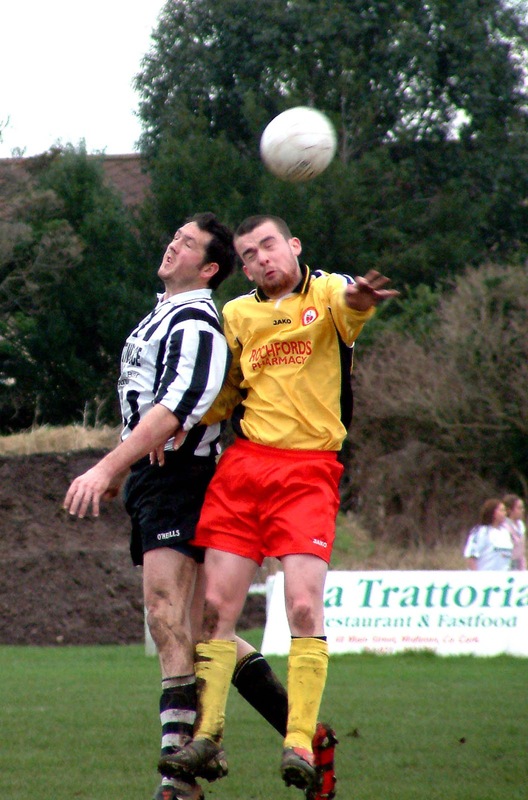 Dave Kenny had a lively first half for the losers and was involved in their 21st minute opener. That followed a throw-in on the left. 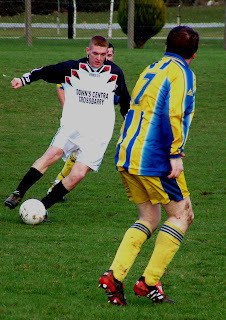 Kenny worked his way into the box and his low cross to the far post was knocked in by Tim Twomey. 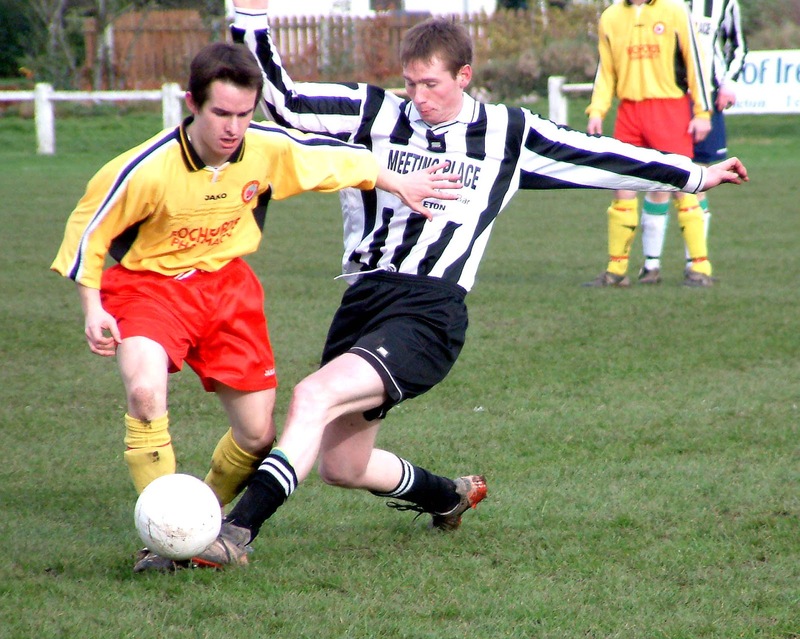 Player-manager Mellerick knew he had to change things in that area and came on himself for the second half where he played a key role in getting his side back into it. Aside from an early flurry, the second half belonged to Ballyvolane and they forced corner after corner and kept Mayfield under pressure. Mellerick's 88th equaliser came after a lobbed pass by Adrian McDonnell left the Mayfield defence screaming for offside as the experienced Ballyvolane man flicked the dropping ball to the net. And it got worse for the first division visitors with just over a minute to go. 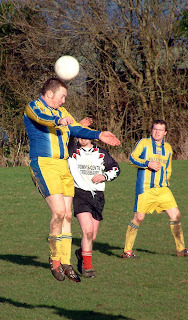 Dave Keohane got up to get a cross in from the left and found O’Keeffe. Keeper Ramsell got a hand to the shot and there was an agonising wait as the spinning ball just about made the line and eventually crossed it. Then, the celebrations began. 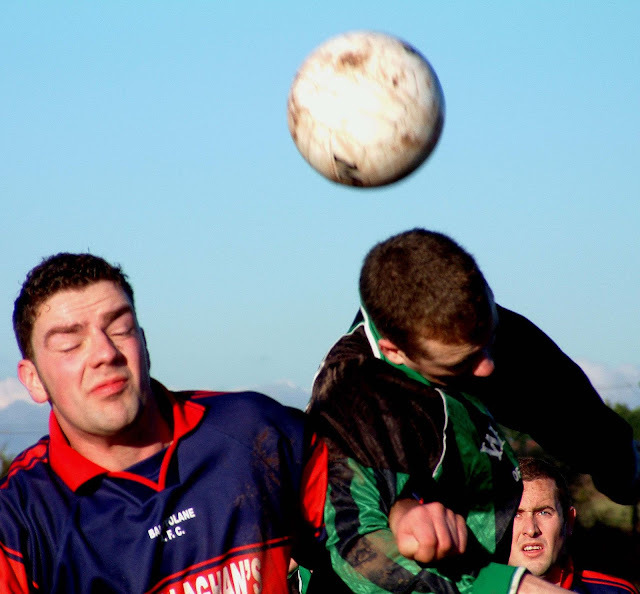 First division Ballincollig are the next target for the Ballyvolane men. Second string they may be but certainly not second rate. 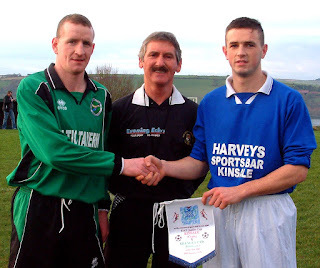 Ballyvolane: Paul O'Sullivan, Conor Madden, Dave Keohane, J.J. Chambers, Ger O'Riordan, Tony O’Donnell, Peter Nugent, Adrian McDonnell, John Magner, Steven O’Keeffe and Kevin O’Shea. Sub used: Derek Mellerick for Magner (at half-time). Mayfield United: Brian Ramsell, John Warren, Ger Forde, Paul Keegan, Michael Brosnan, Niall O'Sullivan, Tim Twomey, Sean Madden, Alan Kelly, Simon O'Leary and Dave Kenny. Sub used: Trevor Daly for Kelly (81st minute).